Since the first YJAM in 2008, we have seen increased awareness lead to concrete action. Over the past decade around 30 states have passed legislation keeping young people out of the adult criminal justice system. 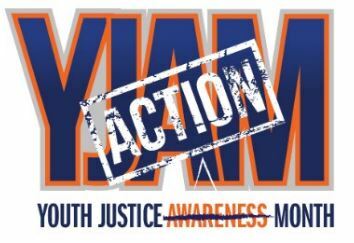 So this year, we YJAM is being re-branded as Youth Justice Action Month. More and more it has become apparent that we know what the problems are. Now, it is time for advocates, legislators, and governments to take action. Out of grief, a mother took action that has turned into awareness and presidential acknowledgement. The re-branding of the “A” in YJAM is very appropriate - as Ms. McClard has demonstrated. We ask, what are your local communities doing this month to demonstrate a commitment to youth justice?